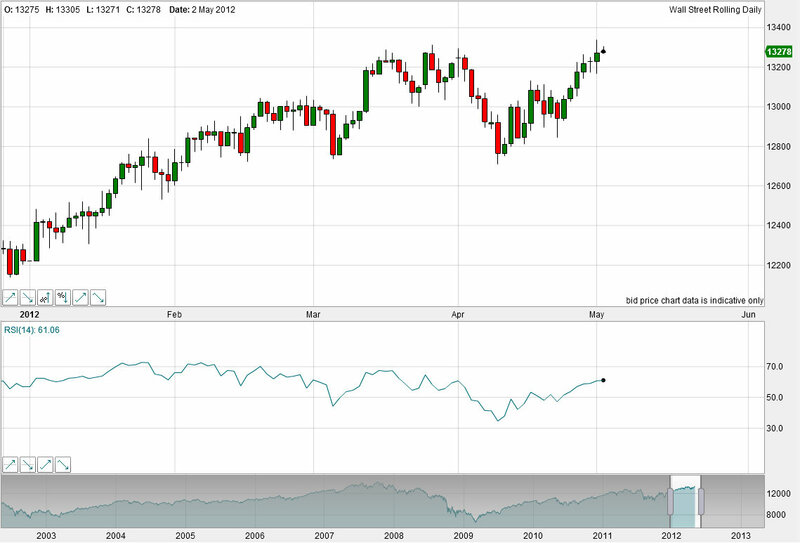 The Dow made a new high yesterday but closed beneath it. The other indices did not yet see new highs. The Hang Seng has made a pretty compelling breakout – a successful backtest of a bull flag and then a pop today with China data good again and the Shanghai Composite performing well. The threats of declining and negative Economic Surprises, weakening US leading indicators, and Spanish CDSs close to record highs, all remain. But for now, equities look technically bullish. I continue to expect some weakness to occur into this coming weekend, so let’s see how today unfolds. The latest POMO schedule was released here and shows a programme of both buys and sales, not making much of a push or pull either way. 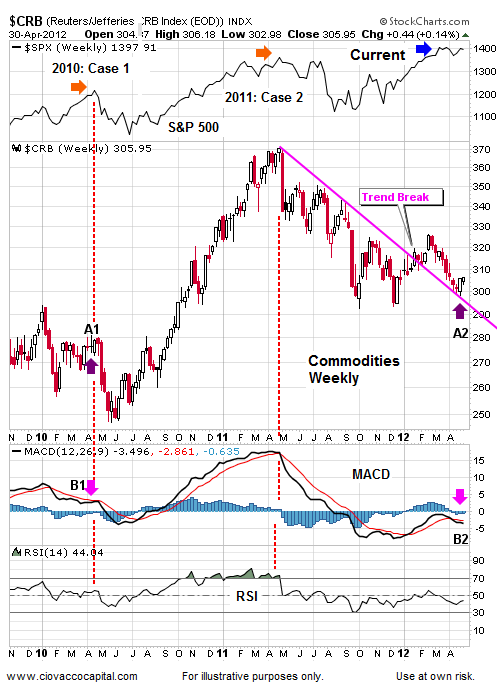 Commodities look to have potentially made an important trend break here. Certain commodities are still at extremes of pessimism or bearishness. However, yesterday’s positive US data and hawkish Fed tones have pushed up the dollar and pulled back gold. The commodities complex may struggle if that holds. Euro PMIs today may affect sentiment one way or the other. In short, good reasons to fancy commodities here (China growth signals, excess pessimism), but as always patience may be required. The latest solar maximum prediction from Nasa was released and continues to forecast a solar maximum in Spring 2013. We will know fairly quickly if this USD rally is a temporary backtest of its triangle breakdown, or a major bottom – I suspect the latter, but not enough to bet on it. Precious metals (and some other commodities) will have to disconnect from their inverse relationship with USD at some point, and that could happen now if USD continues to strengthen. As Will P recently pointed out, the next few weeks could be critical for gold’s direction.